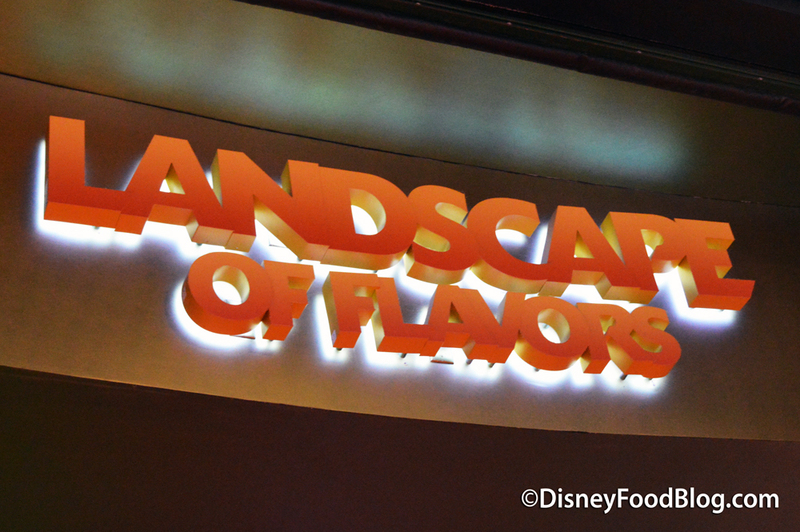 Landscape of Flavors (<– click the link for info and reviews from this restaurant!) 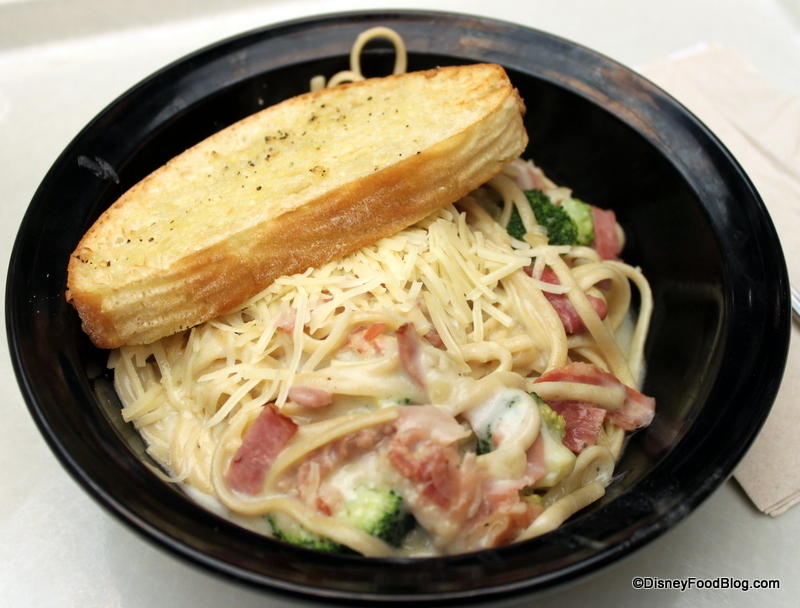 has earned its reputation as one of the better food courts among the Value Resort set because of the attention to flavors that are as colorful as the food court itself. We also love that we can watch the chefs at work. 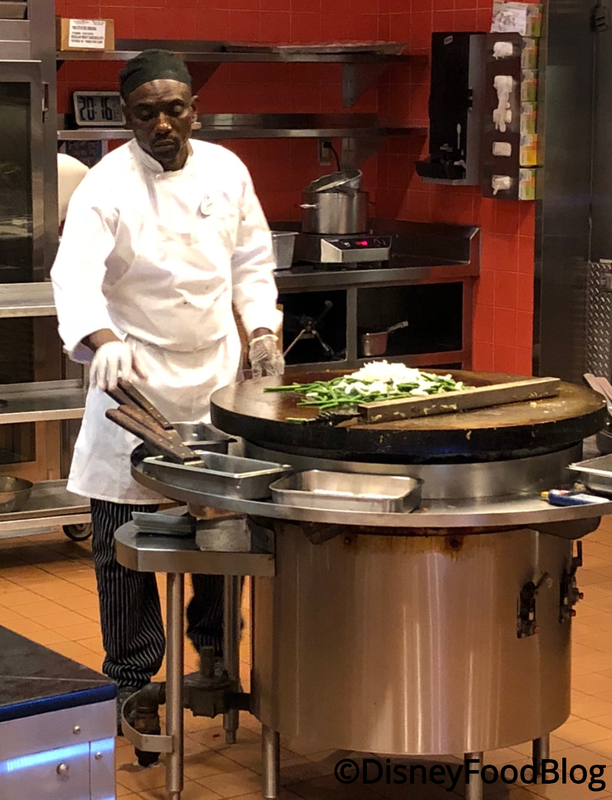 This huge stir-frying station is always fun to watch. 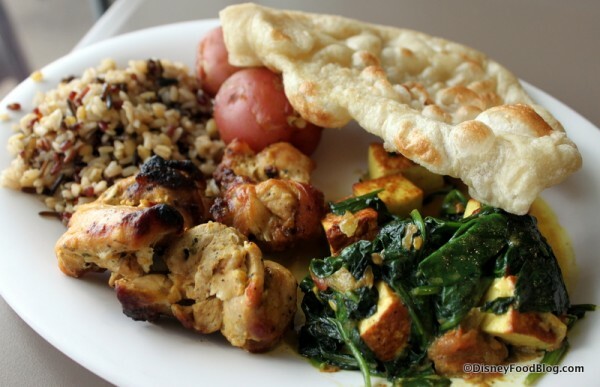 Favorites on past visits include Tandoori Chicken and the crunchy Surf and Surf Burger. Of course, you can’t go wrong with a heaping bowl of Create-Your-Own-Pasta! 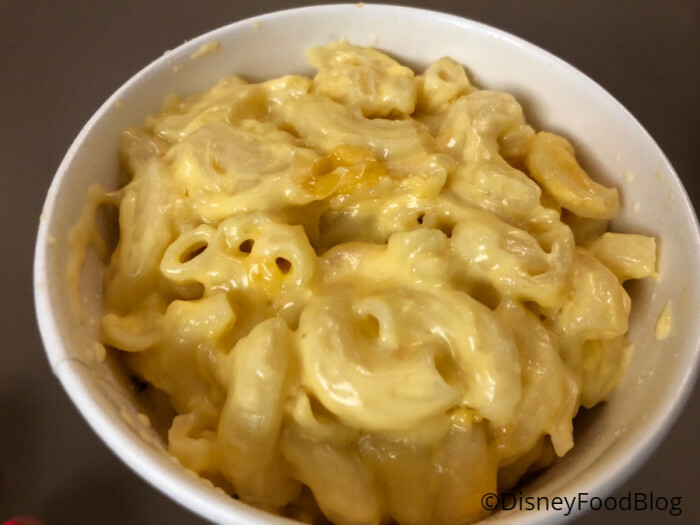 But on my most recent stay at the resort, I wanted to try some of the other items on the menus, starting with some side dishes. These were the real winners of my dining experience at Landscape of Flavors, which is to say — spoiler alert! — that the entrees didn’t impress as much as I’d hoped. But the Green Beans? 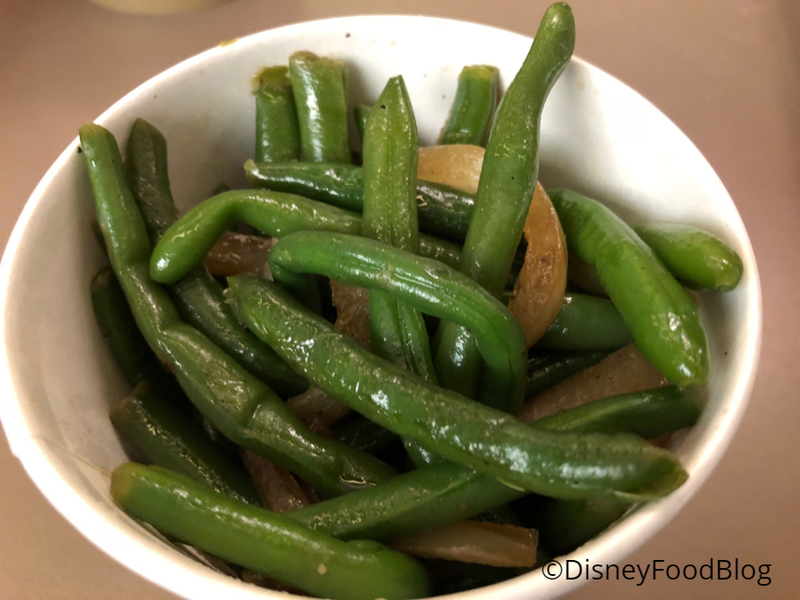 You already know I love a green bean at Walt Disney World, and these were terrific. 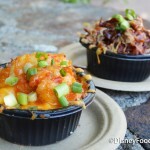 You can get them as a side at the World of Flavors station — with your meal or separately. And you totally should! They’re cooked until soft with some caramelized onions and garlic. And I could eat them with a piece of Naan and feel pretty satisfied. Also at the World of Flavors station, I picked up a side of Risotto. 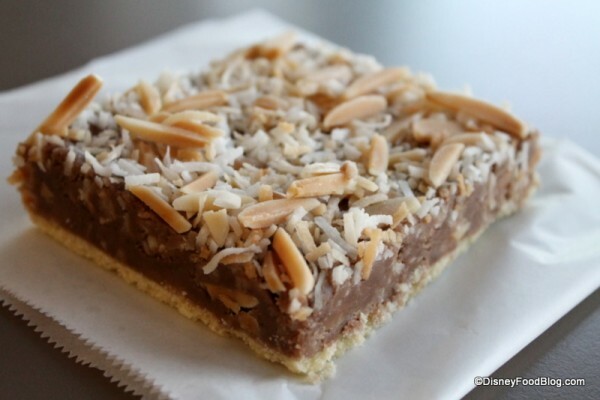 This isn’t on the online menu at present, but you’ll want to meander over to the station to see if it’s available. 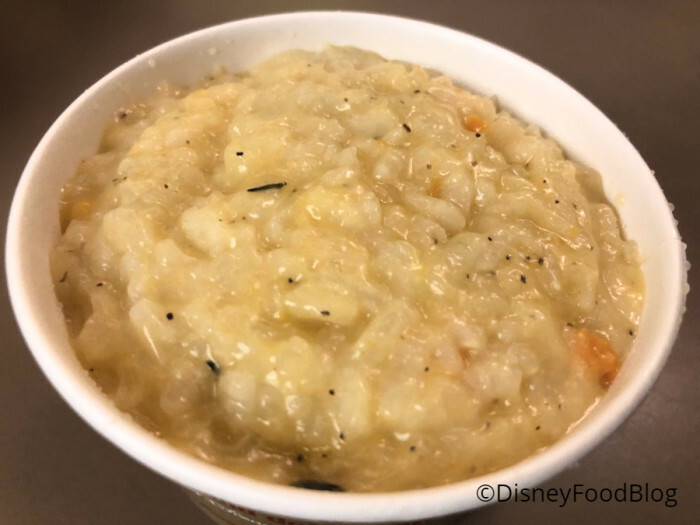 This Risotto was well cooked, but NOT overcooked — a feat for risotto, especially in a quick service environment. There was lots of flavor from black pepper and garlic, and it was deliciously creamy. 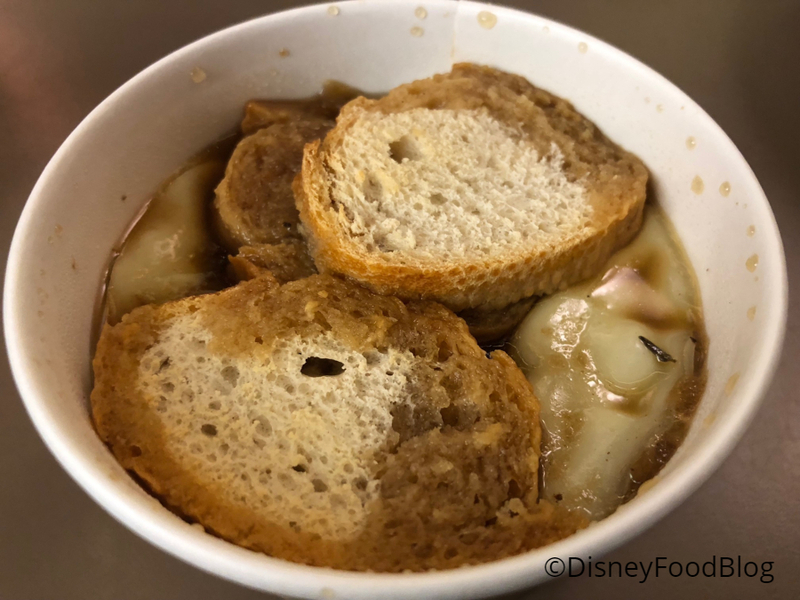 I also enjoyed the Chef’s Selection Soup which was French Onion. 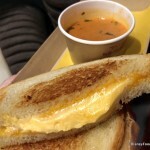 The soup was covered in melty cheese, and there was plenty of bread on top. Does it beat a bowl of French Onion Soup at Be Our Guest Restaurant where the bread is hidden beneath a layer of crispy, broiled cheese? No. But for a food court soup, it had a lot of good flavor. We’ve also enjoyed the Vegetable Soup at Landscape of Flavors, which is packed with vegetables. Now the entrées on this visit weren’t the best we’ve had here. In fact, they get a big ol’ meh from me. Let’s take a look, and you can chime in with your thoughts in the comments. 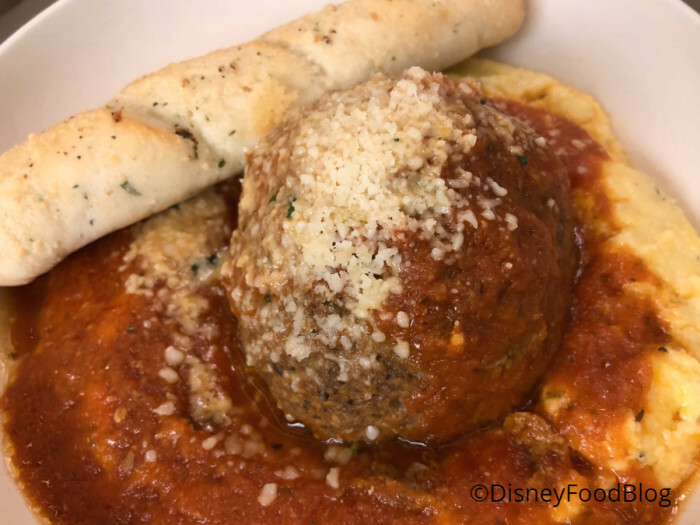 At the World of Flavors Shop, the Jumbo Stuffed Meatball comes with Parmesan Herb Polenta, Marinara Sauce, and a Breadstick. This one should be a hit! Who wouldn’t want to slice into a giant meatball covered in sauce? But this was… cafeteria-quality at best. 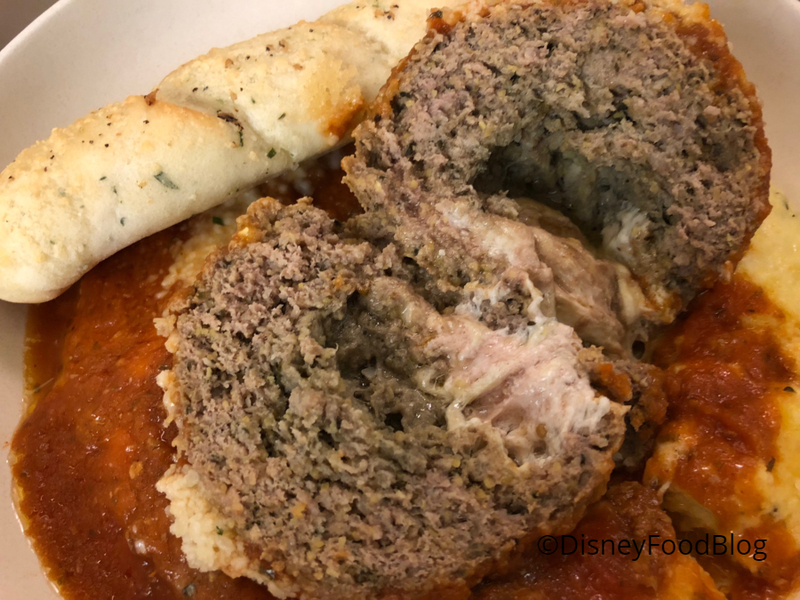 The meatball itself was dry and anemic — there wasn’t much flavor to speak of, not even from the melted cheese at the core of this beast. (We wanted to zoom in on the interior for you, but it’s pretty unappetizing to look at, so you’re welcome.) The Polenta did its best to provide a little flavor, but even that needed some salt and a little love. Also at World of Flavors is the Asian Chicken Bowl. I had some high expectations for this one for two reasons: First, you can actually watch the chefs preparing this on the stir fry griddle at this station, so one expects a level of freshness as a result. Second, it’s colorful and looks appetizing. Unfortunately, it just didn’t live up to these expectations. The flavors were watered down to the point of barely being recognizably Asian cuisine — or even Americanized Asian cuisine. This might work for a diner who’s picky and looking to expand a little, but for anyone who really wants flavor, it doesn’t work. One way to get your veggies — and a colorful plate of food! — is to Create-Your-Own Salad. This is located at the Soups, Salads, and Sandwiches station, where a cast member will pile on whatever you’d like from the options provided. 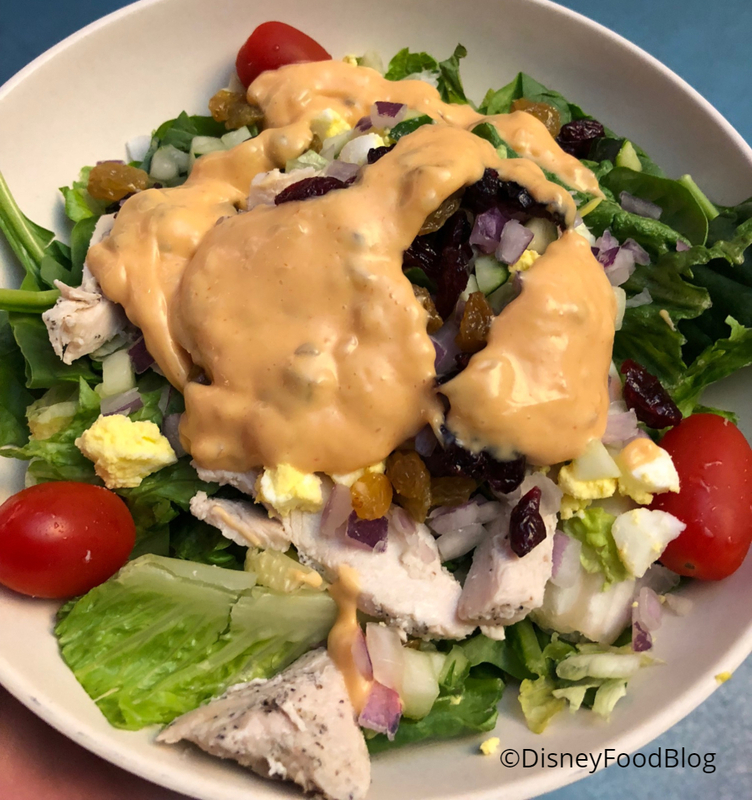 All of the components of the salad were fresh, and I always appreciate a Create-Your-Own set up because you know you’re going to get exactly what you want (and not pay for stuff you don’t!). 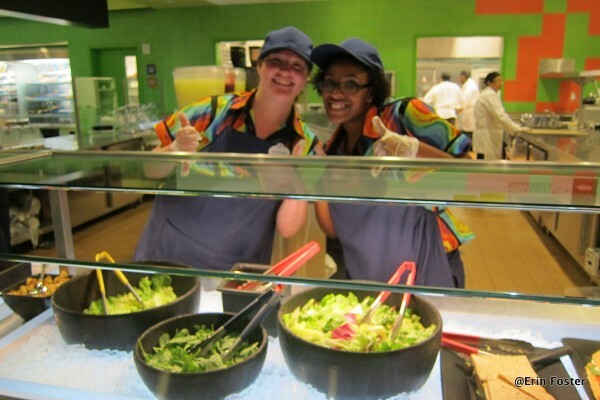 But do I want to rely on salad for every meal I eat at my resort food court? Nope. And since humans can not live on salad alone (well, we can, but should we? ), I also grabbed a couple of desserts to try. The Apple Tart looks yummy, but you can tell it’s not going to be extraordinary. 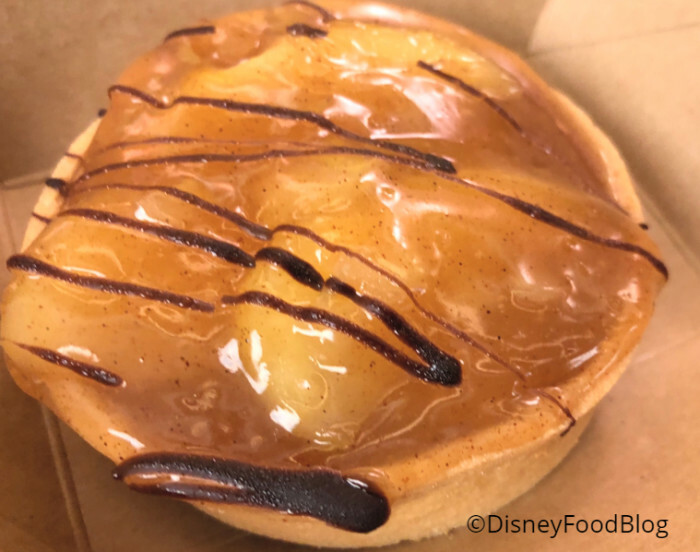 While the tart shell was fine, the filling was standard, kind of gummy out-of-the-can apple pie filling with nothing special going for it. Pass on this one unless you’ve got an insatiable craving for something apple and cloying. We’d definitely opt for the Toffee Shortbread instead! Or heck — grab some Gelato. So we all know that it’s impossible for any restaurant to hit high notes every single time we dine, and this might be particularly true at food court, where the turnover rates for food and the quick service nature of the restaurant leads to even more variables. 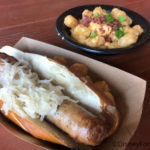 But we’re happy that some of our favorites are still on the menus at Landscape of Flavors, even if the eats on this visit weren’t stellar. Click HERE to see more Art of Animation Landscape of Flavors Reviews and Highlights! 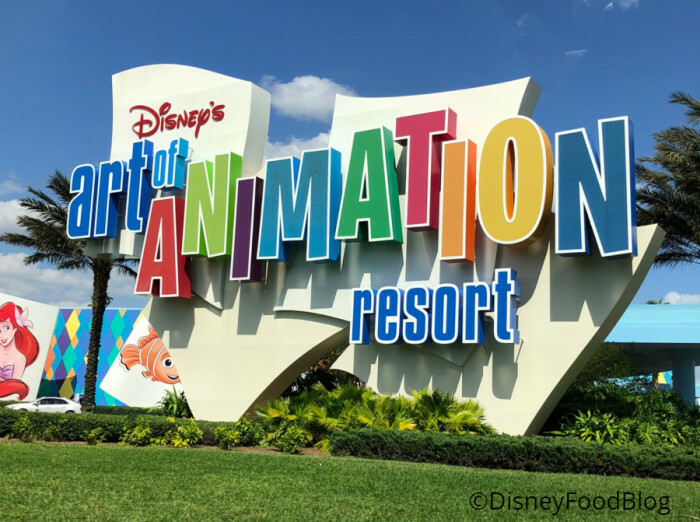 Want to see MORE of Art of Animation Resort? 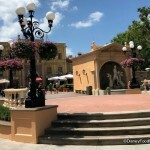 Check out our thoughts about it in our Best Disney Resorts video! 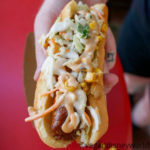 What’s your favorite food court bite? Tell us in the comments! The last time we ate there it was a hot mess. Both my friend and I choose the pasta. I ordered right after her but my food didn’t come out for 15 min after friends, and it was the wrong sauce. I just took it because I didn’t feel like waiting any longer. As it was my friends got their food way ahead of me. Food selections are good (except crab cake burger was soggy) but If you are planning to eat together with your family or friends, forget it! 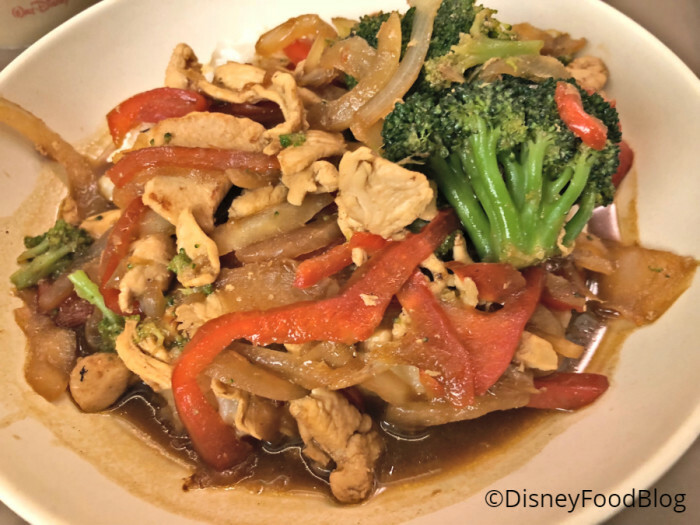 I’ve actually had the chicken Asian bowl on my last trip and I thought it was really good! I thought the flavor was there, but , like you said, it can vary. Hopefully it was just an off day! I don’t know if it’s still there, but years ago, I had the Surf ‘n Surf, and it was great! A crabcake ‘burger’ with popcorn shrimp on it.